Vivo V5 is now official in the Philippines at Php 12,990. It features 20MP Sony IMX376 front-facing camera sensor. Vivo V5 is now official in the Philippines with 20-megapixel Sony IMX376 front-facing camera which makes “Perfect Selfie” shots. On the rear panel, it also houses a 13MP shooter with Phase Detection Autofocus and LED flash. 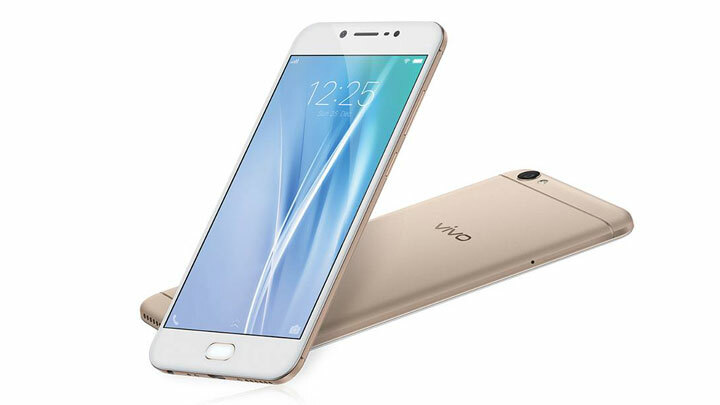 Aside from it’s camera capability, the Vivo V5 is also loaded with 4GB RAM paired with octa-core CPU. When it comes to the screen, the Vivo V5 loosens up a bit with only 1280 x 720 pixels in its 5.5-inch display. Overall, the display packs 267 ppi pixel density, there's also a 2.5D Gorilla Glass layered on top. Read: Vivo X9, X9 Plus becomes official. The Vivo V5 will give you a huge room for storage. It packs 32GB on-board storage with up to 256GB of expandable memory. The skinned version of Android 6.0 boots in the handset. Other notable features include 4G LTE, fingerprint sensor and 3000 mAh battery. The Vivo V5 is now available nationwide in Crown Gold and Grey colors at Php 12,990.